IMMA announces landmark Lucian Freud Project for Ireland alongside an expanded 2016 programme of new work celebrating the radical thinkers and activists whose vision for courageous social change in Ireland and beyond remains relevant to us today. IMMA is pleased announce highlights from our 2016 exhibition programme today, Tue 8 March 2016. See video. “Ireland’s commemoration year 2016 presents an important moment to examine the role of the artist in shaping our contemporary society, and we have commissioned a number of leading artists to create and present new work that reflects the legacy of Ireland’s past as a means to understand our present. 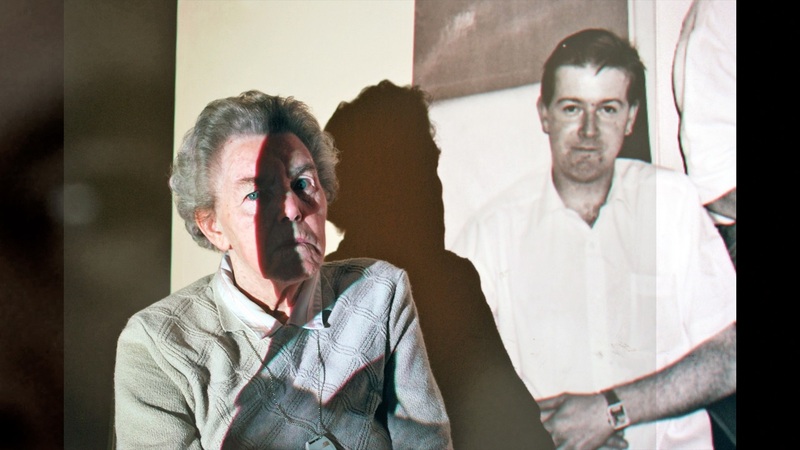 Irish artist Jaki Irvine is developing a new work based on her novel Days of Surrender (2013) that tells the story of Elizabeth O’Farrell and her partner Julia Grenan, two out of several hundred women who took an active part in the Rising yet were almost erased out of history. British/Japanese artist Simon Fujiwara’s new project The Humanizer places Roger Casement’s extraordinary biography at the core of an imagined new Hollywood biopic, while Irish born artist Duncan Campbell is working on his first film based in the Republic of Ireland, which takes as a starting point a series of American anthropological studies of Gaelic speaking rural communities in Ireland in the 60s and 70s. The IMMA Collection: Freud Project launches in 2016 and this important body of work, on loan to IMMA from a number of private collections, will be the focus of several major programming initiatives for the next five years. Lucian Freud is one of the greatest exponents of figurative painting in the 20th-century and the works on loan to IMMA include a selection of Freud’s finest paintings, as well as numerous etchings. Ranging across six decades these works will focus on many of the artist’s key areas of interest, including paintings of the same person at different ages, self-portraits, and double portraits. With this extraordinary resource IMMA will create a centre for Freud research with a special programme of exhibitions, education partnerships and symposia that will maximise this important opportunity for Irish school children, third level students, artists and Irish audiences of all ages, examining what it means to have works like these in the public domain. The lengthy duration of the loan will mean that the audience can build a relationship with Freud, really get to know these works and understand how Freud painted. The evolving programme of curated exhibitions and events will allow us to explore, with our audiences, Freud’s role and legacy in 20th-century art and what these works mean today for contemporary art. The Freud Project is a major addition to the IMMA Collection, and in 2016 we will also present IMMA Collection: A Decade, providing a snapshot of how the National Collection has developed over the past ten years. Works selected explore themes around memory, identity and place, questions of globalism, the environment and connectivity; from the local to the universal. Featured artists include Pierre Huyghe, Willie Doherty, Niamh O’Malley, Eva Rothschild, Dorothy Cross, Tim Robinson, Peter Hutchinson, Philip Taaffe, Howard Hodgkin, Maria Simonds Gooding, Amanda Coogan and others. The exhibition highlights major acquisitions to the IMMA Collection during the last decade, and emphasises the importance of IMMA rebuilding resources to continue to purchase major Irish and international works for the nation. IMMA has not had an institutional acquisitions budget since 2011 and works such as Cape Siren (2008) by Philp Taaffe or Remains (2013) by Willie Doherty are just two key acquisitions that would not have been impossible without the generous support of donors. As always our exhibition programme will be accompanied by a rich and varied programme of live performance, events, talks, and learning programmes which will provide audiences of all ages exciting opportunities to enjoy our programme, opening up conversations and bringing the audience deeper into the thinking and making of contemporary art. This includes the continuation of our programme of talks and events entitled Art I Memory I Place, which takes place in the particular context of the ‘decade of centenaries’. Focusing on artists whose work addresses themes relating to memory and place, the purpose of this programme is to broaden and deepen the current discussion about the subject of remembrance and commemoration and to take account of such work. The thematic of IMMA’s 2016 programme will be further explored in a major symposium, co-curated by Annie Fletcher, Chief Curator, Van Abbemuseum Eindhoven. At the heart of this activated programme opening IMMA up to new audiences is our annual Summer Party. Now in its third year, the IMMA Summer Party will return on Saturday 16th July with more art, music, performance and food events designed to open up the beautiful buildings and grounds of IMMA, day and night. Cillian Murphy will curate the music programme in 2016. Once the singer and guitarist with a rock band, actor Cillian Murphy has a visceral love of music and an impeccable ear. Having previously collaborated with the likes of Feist, Money, I Break Horses, Orbital’s Paul Hartnoll, Mark Garry, Kevin Drew of Broken Social Scene, Irish music blog Fractured Air, and The Frank and Walters, this will be his first curation of a live music programme. This first substantial exhibition of Italian artist Carol Rama’s work comprises of almost 200 works and comes to Dublin following exhibitions in MACBA, Barcelona, Musée d’Art moderne de la Ville de Paris, and EMMA, Finland. Born in 1918 in Turin, Rama was never academically trained or explicitly faithful to any particular movement, except for the period of the “Movimento di Arte Concreta” (MAC). Instead, she developed a body of work over seven decades that is as unique as it is obsessive. Belatedly recognised in 2003, she was awarded the Golden Lion at the Venice Biennale. ‘A strange and exotic presence in Irish art’, Patrick Hennessy RHA (1915-80), was one of Ireland’s most successful post-war realist painters. At a time when people were persecuted for their sexual orientation, Hennessy made works containing narratives of homosexual life that align him with the emerging queer-art movement of the 1970s. This exhibition re-examines and repositions Hennessey’s work as part of the IMMA Modern Irish Masters Series. IMMA Collection: A Decade provides a snapshot of how the Collection has developed over the past 10 years. Works explore themes around memory, identity and place, questions of globalism, the environment and connectivity; from the local to the universal. Featured artists include Pierre Huyghe, Willie Doherty, Niamh O’Malley, Eva Rothschild, Dorothy Cross, Tim Robinson, Peter Hutchinson, Philip Taaffe, Howard Hodgkin, Maria Simonds Gooding, Amanda Coogan and others. Berlin based, British/Japanese artist Simon Fujiwara’s new project ‘The Humanizer’ places Roger Casement’s extraordinary biography at the core of an imagined new Hollywood biopic that takes the life of the compelling yet baffling figure of Roger Casement through the conventions of the Hollywood narrative machine, exposing our modern day desire for the perfect Hollywood hero in an age where everyone is somebody. IMMA is collaborating with Grizedale Arts who, following a period of research and development in IMMA’s residency programme, will create, in collaboration with IMMA, an extraordinary new project that examines the ‘usefulness’ of art by inviting artists and creatives to take over the iconic IMMA courtyard this summer. Echoing the role artists played in creating and articulating a new vision for Ireland pre-1916, A Fair Land will be developed and activated by a range of artists and creative practitioners with the aim of creating new, artist-led visions for a functioning future society which visitors to IMMA during August will be invited to help inhabit, debate and enjoy. Artists and collaborators include Jonathan Meese, Renzo Martens, Suzanne Lacy, Ryan Gander, Karen Guthrie, Publicworks, Deirdre O’Mahony, Consiton Youth Club, Rhona Byrne, villagers from the Japanese mountain village of Toge, Gareth Kennedy, Seodín O’Sullivan, NÓS workshop, Irish Architecture Foundation (IAF), NCAD, and IADT with many more to be announced. This new invited curators initiative will see Indian curator Sumesh Sharma and Irish curator Kate Strain presenting projects at IMMA that reflect their individual curatorial practices and bring new curatorial perspectives into IMMA’s programme. Sumesh Sharma co-founded the Clark House Initiative, Bombay in 2010 where he presently is the curator along with being the invited curator to the biennale of African contemporary art – Dak’Art 2016, Senegal. His practice deals with alternate histories that are informed by the Black Arts movement, Socio-Economics, Immigration in the Francophone and Vernacular Equalities of Modernism. Kate Strain is a Dublin-based curator researching the overlap between performance and performativity in visual arts practice. Ongoing projects include The Centre For Dying On Stage, Department of Ultimology, On Curating Histories, and the paired curatorial practice RGKSKSRG. She has worked in a curatorial capacity at Project Arts Centre, the National College of Art and Design, Trinity College Dublin, and internationally on collaborative projects in Torino, Amsterdam and Graz. IMMA presents the first survey exhibition of artist Emily Jacir’s work in Ireland. Emily Jacir: Europa brings together almost two decades of sculpture, film, drawings, large-scale installations and photography and focuses on Jacir’s dialogue with Europe, Italy and the Mediterranean in particular. Known for her poignant works of art that are as poetic as they are political and biographical, Jacir explores various histories of migration, resistance and exchange. The IMMA Collection has secured an important long-term loan of 50 works by Lucian Freud (1922-2011), regarded as one of the world’s greatest realist painters. The works, on loan from a number of private collections, will be presented in a dedicated Freud Centre in the Garden Galleries for five years and will be titled IMMA Collection: Freud Project, 2016 – 2021. With this extraordinary resource IMMA will create a centre for Freud research with a special programme of exhibitions, education partnerships, symposia and research that will maximise this important opportunity for Irish school children, third level students, artists and all audiences in Ireland and abroad. Taking her novel, Days of Surrender (2013), as a starting point Jaki Irvine’s new film work If The Ground Should Open… (2016), will be presented alongside a live performance event. The novel tells the story of Elizabeth O’Farrell and her partner Julia Grenan, two out of several hundred women who took an active part in the 1916 Rising yet were almost erased out of Irish history. 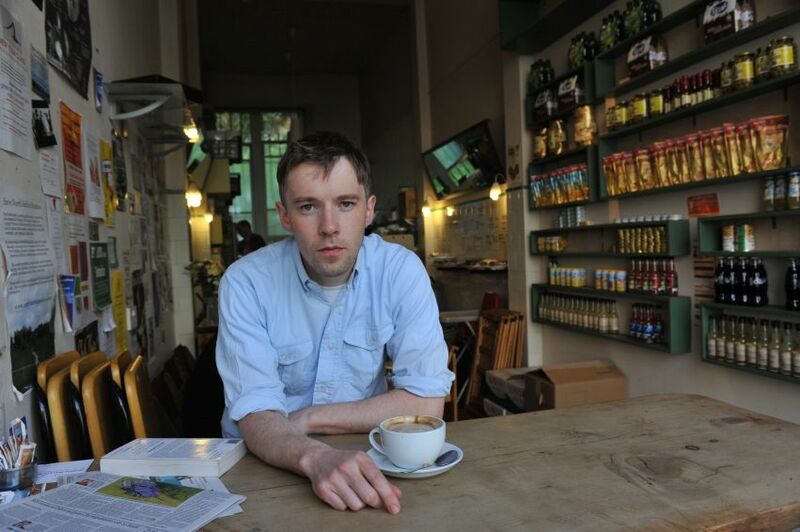 Following his first major exhibition in Dublin at IMMA in 2014, Irish-born artist Duncan Campbell (Turner Prize Winner 2014) is working on his first film based in the Republic of Ireland. Stemming from research in the IFI (Irish Film Institute) Archive, Campbell’s film will take as a starting point a 1960’s UCLA anthropological film study of rural Kerry, and a number of US anthropological studies from that period. Campbell reflects on the tension of the anthropologists’ projections onto the Gaelic speaking peasant cultures of their studies and the complexities of a society whose precarious existence faces threats of immigration, industrialisation and reform. As with many of Campbell’s films this new work uses a combination of archive material and self-shot footage and uses a study of the past to throw a new perspective on our present.